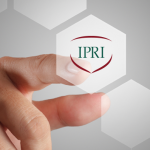 The International Prevention Research Institute (iPRI www.i-pri.org) is a research institute devoted to disease prevention in which highly experienced epidemiologists, biostatisticians and applied mathematicians work together. 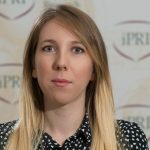 iPRI has unparalleled experience in epidemiological research and macro health planning with a record of delivering real health and economic value to a range of public and private sources including governments, universities, research institutes, non-governmental organisations and large multi-national concerns. 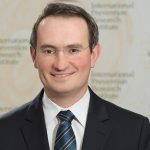 With the University of Strathclyde (Glasgow, United Kingdom), iPRI has created the “Strathclyde institute of Global Public Health at iPRI” in Lyon, France. iPRI has a wide international network of Senior Research Fellows. Several PhD students are preparing their research projects at this institute. One project in iPRI is related to Diabetic Retinopathy, one of the main causes of blindness in the world. Diabetic Retinopathy can affect anyone who has diabetes. Therefore, it is a major Public Health challenge. Diabetic retinopathy (DR) causes damage to the blood vessels supplying the retina. Because DR generally has no obvious symptoms until it is advanced, early detection is essential. Today, the only efficient solution for DR diagnosis involves examination of the eye fundus in order to early detect lesions in the eyes. During these examinations, colour images of the retina are captured by trained professionals. Currently in countries where DR screening is in place, large databases of eye fundus images are in existence. The development of new image processing methods is a significant challenge to the analysis of these large databases. iPRI offers internships of 6 months (for Master’s or graduated students) in the field of biomedical image analysis. The students will participate to the development of new methods in the field of colour and multivariate Image Processing with applications specific to the analysis of large databases of colour eye fundus images. In particular, new methods related to colour image processing will be studied. 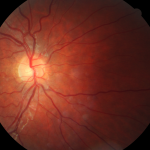 In a large database of eye-fundus colour images, we are looking for anatomical structures such as vessels or lesions such as micro-aneurysms. During the internship, new methods adapted to big data processing will be developed and tested by the students. Supervision of the students in will be provided by senior researchers at iPRI. The students will be in the team of applied mathematics and will work in an international environment. They will be integrated in a dynamic team of researchers. Programming language to be used: Matlab, Python, C++/C, OpenMP. We are looking for students with a strong background in image processing and applied mathematics who are motivated by the prospect of a PhD research project. Contract: the internship period will be paid based on French regulation and covered by a fixed-term contract.